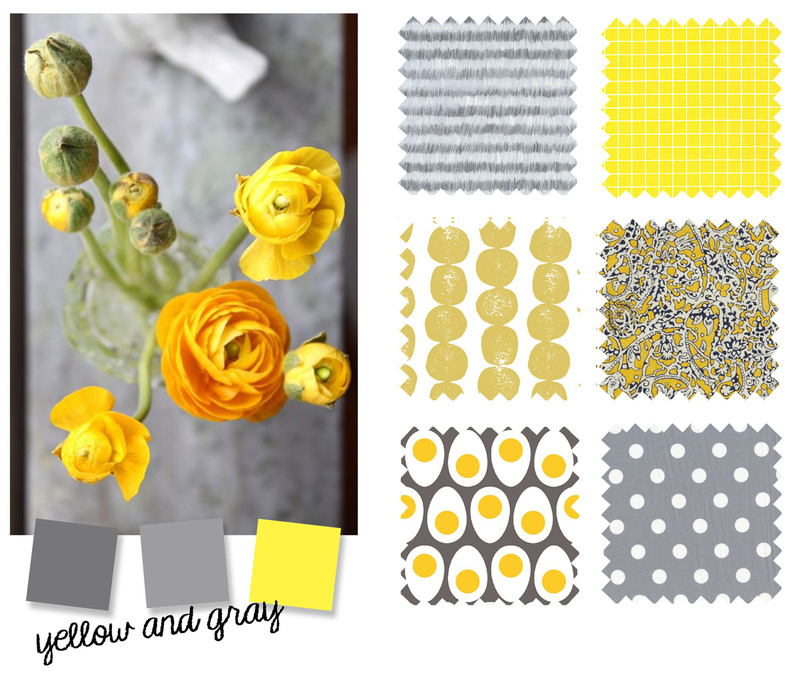 I think gray and yellow together make such a refreshing color palette. Again, a warm and cool color combination. Photo from wonderful wild. Fabrics 1, 2, 3, 4, 5 and 6. You can see all these and more color inspiration images and fabrics in my color palette and fabrics Pinterest board. What would you make with these fabrics? And are there other gray and yellow fabrics that you love? I do like the yellow and gray color combo and have used it when sewing children’s clothing because my 2nd son’s favorite color is yellow. And I’m a HUGE fan of gray with white polka dots and use it a lot as lining. Yellow and Grey always remind me of my Cockatiel Francois – who I am in love with. So indeed I do love this color combination and painted my kitchen those colors. Love this combo, and how any (shade? hue?) of either color looks good with the other. Dove grey and an almost saffron color, charcoal and acid yellow, slate grey and a gleaming gold silk. YUM. I love yellow and grey so much. I pinned a sweet cardy for my youngest in a zingy citron yellow and planned to make her a grey Swing Set skirt to match. Unfortunately, when I tracked down said cardy, it clashes with her hair. I think yellow must be the only colour she can’t wear.